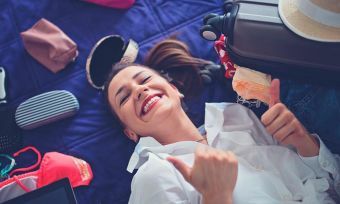 If you’re about to hop on a plane – possibly for a holiday escape from the winter weather – then you’ll be all too familiar with the packing prep. But, aside from your camera for all those holiday snaps, you’ll also want a safe way to carry around your travel pocket money. Travel money cards are one option that could really fit the bill. But, there are some things to watch out for to make sure you get value for money. Canstar shares some travel money card hacks to help you avoid throwing away money on pesky fees. Often, it is in the actual exchange rate, upon loading the card with money, where a travel money card will cost you the most. This is a profit margin that the currency exchange broker adds to their quoted exchange rate, on top of the true exchange rate (known as the “benchmark rate”, “headline rate”, or “spot rate”). 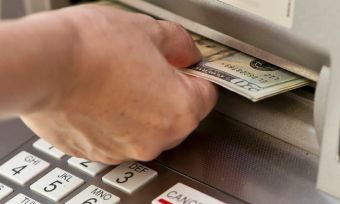 Travel money card hack 1: Arguably, the biggest advantage of using a travel money card is the ability to lock in currency at a specific rate in an account, rather than having to carry around stacks of cash in foreign currency. Different travel money cards have different exchange rates, and even a few cents difference can save you hundreds of New Zealand dollars. Always remember to check the exchange rate before signing up. Travel money cards allow you to “pre-load” money onto the card, locking in the currency at that exchange rate. It saves you from carrying around wads of cash in various currencies – potentially dicey from a security perspective. But a little extra planning can be worth its weight in gold when it comes to travel money cards. For example, some travel money card providers charge a, “refund fee” when you return back from your holiday. A refund fee is when you take any leftover spending money in your native currency back off the travel money card. According to the providers on Canstar’s database, this can be up to $10 every time you want to bring your money back, which could add up if you travel regularly. If you’re getting a refund of the Japanese Yen from your travel money card, this will set you back an average of around $3.25 (¥246.96). But the market leader won’t charge you a cent. So, don’t forget to shop around. 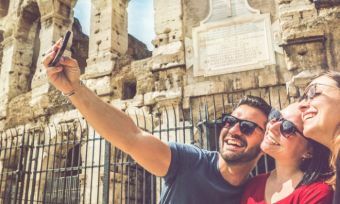 Travel money card hack 2: One way to get around this refund fee is to stick as closely as possible to a holiday budget or, make sure you spend all your holiday money. Go on, you deserve that extra cocktail and dessert. Depending on where you’re travelling to and what you’re paying for, you might want to withdraw some money from the travel money card. Charges for this service can apply, so it is an important fee to watch out for. The good news is that it can be avoided. Travel money card hack 3: When it comes to travel money cards, you can have your holiday cake and eat it, too. Not every travel money card provider charges for ATM withdrawals or point of sale transactions. Shop around and compare travel money cards that don’t have this fee, especially if you think you’ll want to withdraw money semi-regularly. You probably have more exciting holiday prep to do – like choosing where to eat out – than to run across town to compare travel money card providers. The good news is that Canstar has taken care of this one for you. You’re welcome. In 2018, Canstar compared six travel money cards from six providers, to see how they stack up across six different currencies, and with benefits, facilities and fees. Travel money card hack 4: Hop online to the travel money cards section of Canstar.co.nz, so you can see how cards compare. And an extra tip: Travelex has picked up the Card of the Year – Travel Money Card Award this year, so why not check out what it offers?